Web Designers worldwide know that Photoshop is one of the biggest assets in their arsenals. When it comes to photo manipulation, there is nothing that Photoshop cannot do. All it takes is the right skills, mindset, and a few tricks up one’s sleeves. Of course, there are those that are personal and cannot be shared with the competition but learning a few widely-used ones doesn’t hurt. These three are a must-know. Any Web Designer who doesn’t have Photoshop shortcuts at their fingertips should get back to the drawing board. Navigating with the mouse or touchpad is such a waste of time. Leave that to amateurs and beginners. To impress clients and deliver work on time, it should take the shortest time possible for a photo to go through Photoshop and come out as a finished product. Achieving the best design is all about a well-defined layout. 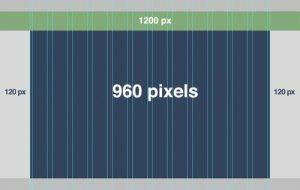 It is easy to throw around images and words in Photoshop, but when designing a web page, a grid is necessary. On the Photoshop menu bar, click on View and select New Guide Layout. Pick a layout that matches the intended design then every element will be in order. For a more customizable option, use the ruler guides. There are only a limited number of shapes in the Photoshop library. When developing a website with numerous pages, the same custom shape will be used over and over again. To easily access it, right click on it using the black arrow and select Define Custom Shape. From then on, it will be at the top bar in case it is needed. With good mastery of Photoshop, one can leave many web users and designers alike in awe. Apart from the basic understanding of how layers work and what the icons represent, Learning some few important tricks will come in handy every once in a while.